First of all, we wish you a very happy new year and the best of luck for your work. 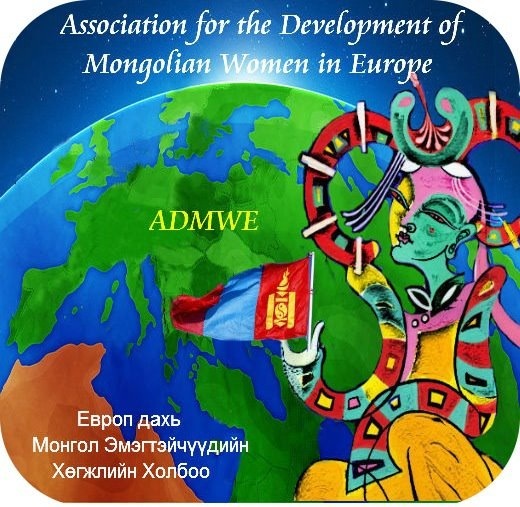 The Association for the Development of Mongolian Women in Europe (ADMWE) is a non-profit organization, established in London in 2011, support of highly educated and skilled Mongolian women who work and live in Europe. The purpose of ADMWE is to help develop and strengthen Mongolian women, to become a bridge between Mongolian businesswoman in Mongolia, Britain and Europe; to provide opportunities to network, develop businesses and to build social connections with the aim to help with humanitarian work for women and children. In order to introduce Mongolian Mother and Children’s day to Europe, we have successfully organized by public poll our “Woman of the Year” awards ceremony for three consecutive years. The achievements and successes of extraordinary and inspirational Mongolian women are acknowledged, honoured and celebrated, undoubtedly inspiring many others in their creativity and success. This is a signature event for the ADMWE, the first awards ceremony was successfully organized in 2012 since then it has become our annual tradition. The fund raised through this event proceed to good charity campaigns that aim to increase awareness and help to reduce domestic violence against children, woman amongst the Mongolian community. Please visit to our website www.admwe.org or https://www.facebook.com/ADMW2011 for more information. 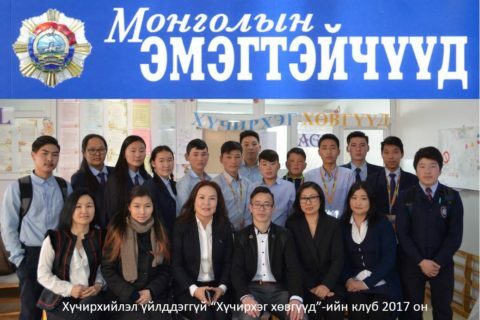 In 2012, our representative members were invited to a global campaign organized by the ‘Anti Violence Foundation’ and ‘Peace One Day’ an international non-profit organization, to discussed and exchanged views on how the Mongolian government is working to tackle the issues on anti-violence. 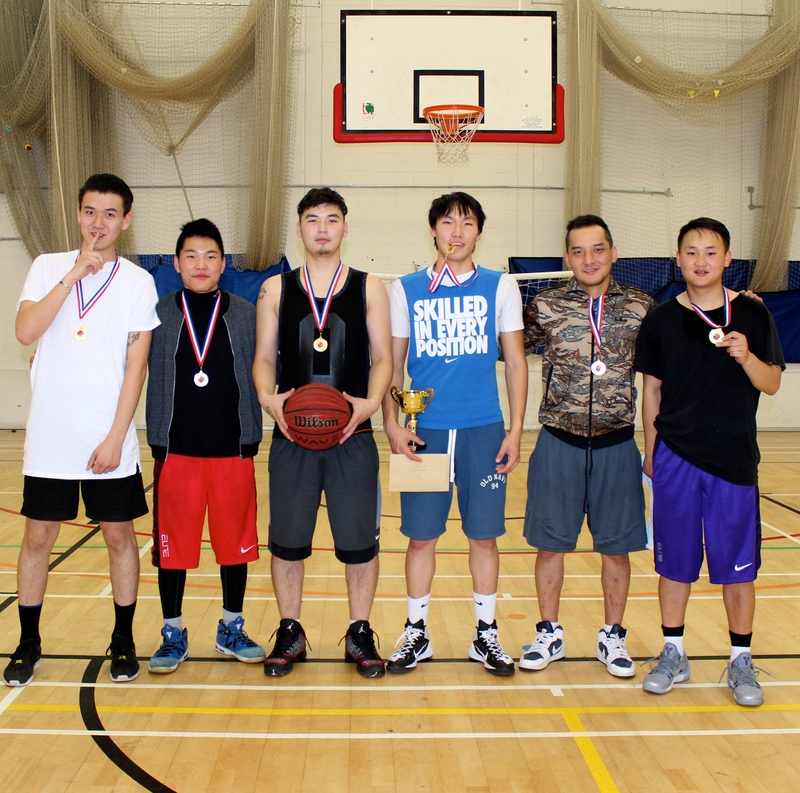 Every year since, we have joined the global truce campaign against domestic violence to work raising awareness on the importance of reducing domestic violence, to help highlight this issue and to reach a wider public we organize an annual Basketball Match among Mongolians in the UK. ADMWE also initiated a project to raise funds for a cervical cancer prevention vaccination for Mongolian girls which was implemented by the Ministry of Health of Mongolia. To mark International Women’s day we organized “One World – The Role of Women” seminar and a fundraising auction with Rio Tinto Mining Group, which raised £10000. Supporting our initiative His Royal Highness, The Prince of Wales, has donated one of his own watercolors paintings to help raise funds for the cervical cancer prevention vaccination for Mongolian girls, the painting was included in the auction sale .We have received great support from the London Stock Exchange, the European Bank for Reconstruction and Development and many other international financial and business organizations. Unfortunately, there was some misconception in regards to the vaccination within the Mongolian public therefore we could not reach our goals but through the Mongolian Ministry of Health, a successful project was implemented using our donation, ensuring that future mothers and students are able to receive a free health check up, prevention of sexually transmitted disease training and educational programmes for young adults where a total 78000 students and young adults were involved. Every year, our association organizes activities in regards to the issue of international women’s rights. In 2012, in partnership with the World Peace Federation and its cooperation with women’s organizations in Britain we successfully organized a conference in the Upper House of Lords of -UK Parliament. It is a noteworthy historical event as for the first time, Mongolian women have successfully organized activities designed to strengthen the position of women in society and women’s rights in the British parliament. In 2014 we were invited to participate at the 58th Session of the Commission on the status of Women in New York, where we successfully organized a round table meeting addressing the topic of ‘The UN and Women’ this meeting was focused on exchanging views on the implementation of the UN’s Millennium Development Goals, future objectives and current challenges Mongolian women are facing. We are able to call all government and leaders around the word to take action in the next twenty years make their country become less poverty, and less violent. In addition to those organization mentioned above ADMWE works closely with the Westminster Business Council, Prince of Wales Trust, Peace Association for Women and Baroness Sandip Verma, Member of the House of Lords and women’s equal right spokeswoman for the British government. ADMWE has jointly organized a number of events with other non-governmental organizations such as the British Mongolian Chamber of Commerce, Mongolian Culture Centre, Mongolian Association in the UK, where by over 2000 people got involved. 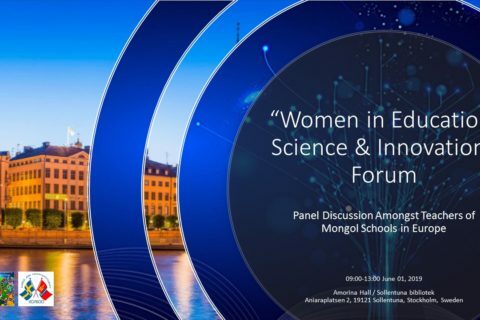 To empower women and to promote networking ADMWE has initiated the project ‘Raising Capital in the Global Financial Market’ a seminar organized twice a year in partnership with the London Stock Exchange and the London Metal Exchange, where the participants are businesswomen and female accountants from the Mongolian mining field. Previously, we requested from the Mongolian ex Prime Minister S. Batbold who initiated the ‘Healthy Child’ campaign program, to personally support to organize the Asian Regional Forum, a global campaign to reduce domestic violence in Mongolia to create favourable conditions for raising young girls who will be future Mongolian mothers through for example, including vaccination’s for Mongolian girls to prevent cervical cancer in the budget and to make this initiative on a regular basis within the campaign. This time we would like to request from the Mongolian PM Saihanbileg to include an amnesty law for victim’s of domestic violence, women currently serving prison term because they killed their husbands in self defence. 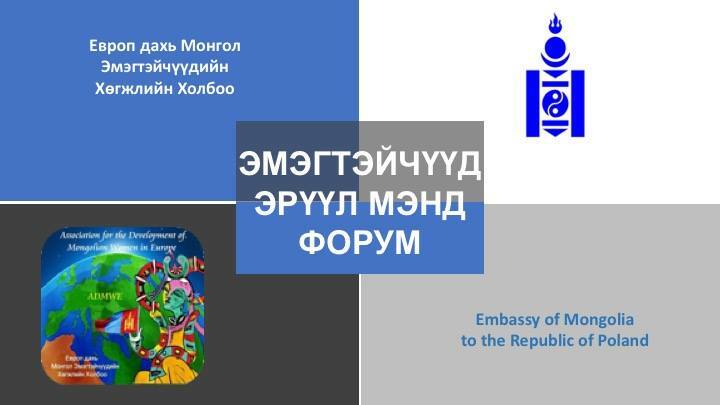 We sincerely hope that through our letter of request that you will give the opportunity for many Mongolian orphaned children to live with their mother, although the actions of these women were wrong, law against violence in our country is under international level, with the lack of protection for victims of domestic violence. Since policy regarding this matter was inadequate, we hope your government will not to repeat pre-bias of previous governments responsibility of providing healthy living according to its constitution. Hope you will receive our request and give us response. Please respond to the following email address to contact us.